The Tata Nexon AMT’s design is no different from the manual. 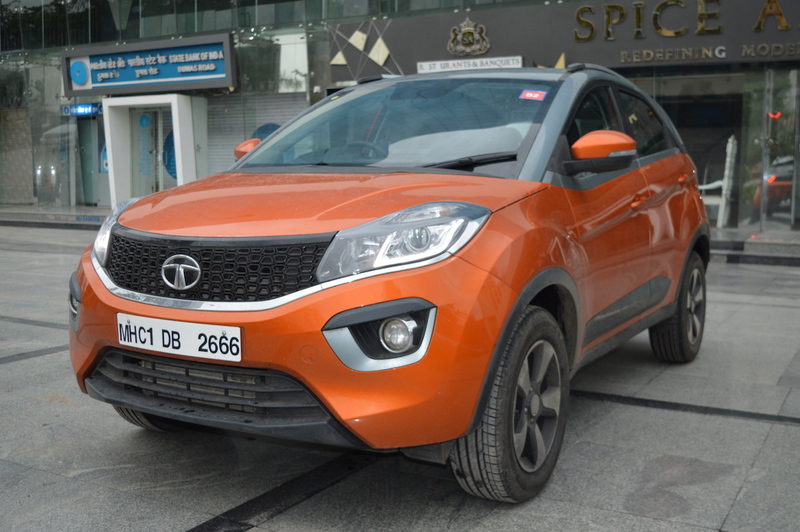 Tata Motors offers the AMT variant in an exclusive Etna Orange colour, with a Dual Tone option in which the roof is in a contrasting Sonic Silver colour. Initially, Tata Motors offered the Tata Nexon's AMT exclusively in a fully-loaded XZA+ grade, laid with all the comfort and convenience offered in the MT variant’s XZ+ grade. This is to say that automatic climate control, rear air vents, height-adjustable driver seat, cooled glove box, passive keyless entry, wearable PEPS key, fast USB charger, floating dashtop touchscreen infotainment system, Harman sound system with four speakers and four tweeters and all other high-end features are standard. To lower the entry-price for the automatic Nexon, the company has started offering it in a new XMA grade with similar features of the XM grade. The XMA grade is nearly INR 2 lakh* cheaper than the XZA+ grade. 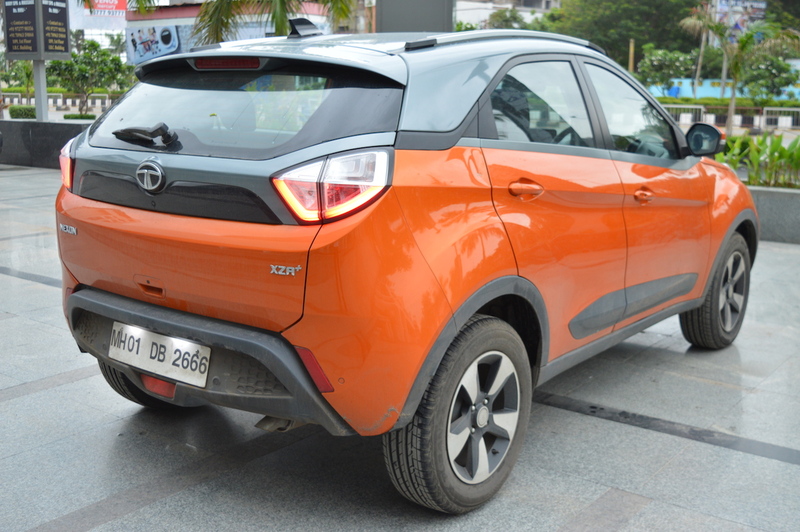 The Tata Nexon AMT is available in petrol and diesel and with the same engines as the Tata Nexon MT. We tested the AMT variant with the 1.5-litre Revotorq turbocharged four-cylinder diesel engine that develops 110 PS at 3,750 rpm and 260 Nm of torque at 1,500-2,750 rpm. 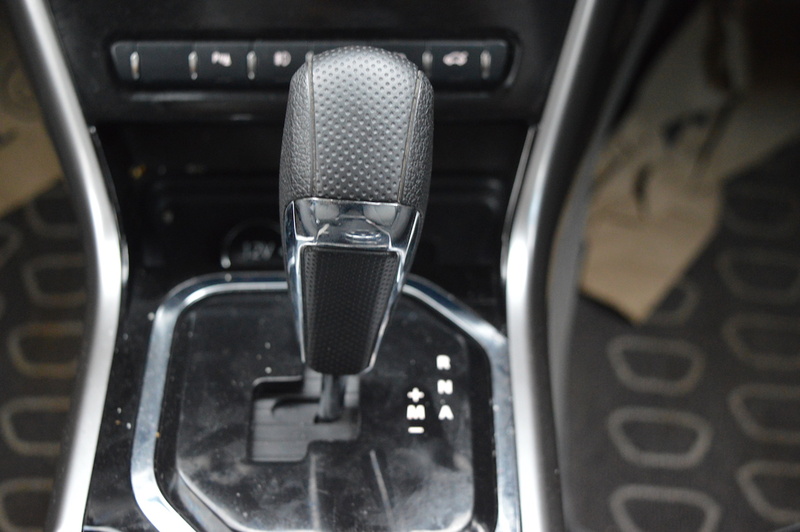 It is coupled to a 6-speed automated manual transmission. On a side note, Tata Motors has started branding two-pedal transmission models ‘HyprDrive’ and AMT variants ‘Self-Shift Gears (S-SG) beginning with the Nexon AMT. Hence the complicate ‘Tata Nexon HyprDrive S-SG’ name. While most AMTs available in the sub-4 metre segment are 5-speed units, Tata Motors has wisely decided to use a 6-speed unit for the Nexon. Most of our circa-900 km drive in the AMT variant was on the highways, and that is where the extra gear made the difference. Reaching triple digit speeds with the 1.5-litre Revotorq engine is a breeze and driving in that range is more efficient and composed thanks to the sixth gear. In urban conditions, the AMT variant gives a pleasant driving experience. Tata Motors has equipped it with a segment-first drive mode selector that lets the driver choose from Eco, City and Sport modes as per the place (city or highway), traffic condition and driving style. Move the lever to the left, and you get gearshift control with an automatic initial downshift. Driving using the most appropriate drive mode, though, you would rarely need to use this feature. 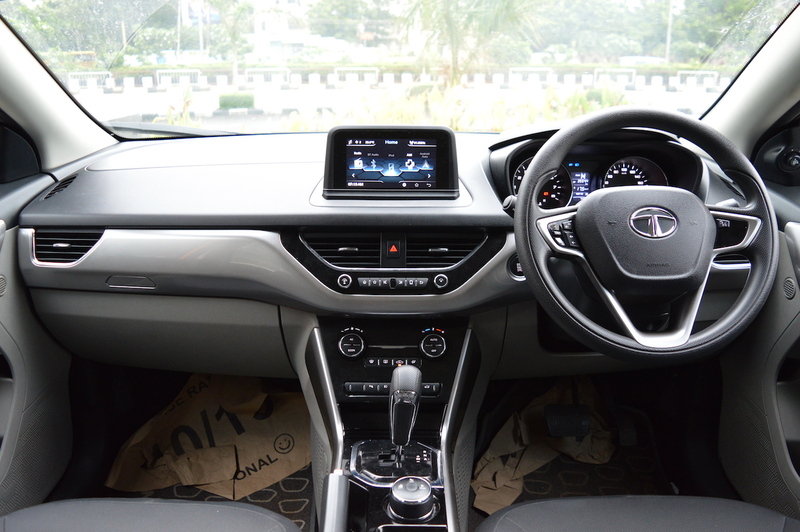 The Tata Nexon HyprDrive S-SG is no exception to the general shortcomings of an AMT, but the technology has come a long way since the introduction in 2014. Gearshifts take more than an eye-blink, especially at low speeds. They smoothen up significantly once you reach highway speeds. If you take your foot off the accelerator after flooring it, the ‘fast-off’ function ensures that the vehicle gradually decelerates. There’s not much to talk about here as the confidence-inspiring city, and highway driving experience is the same as in the MT variant. The Nexon offers an impressive ground clearance of 209 mm, which you’d appreciate at unpaved/damaged roads, bumps and rough terrains, especially during monsoon. We’d also like to point out that the brakes are reassuring. The Tata Nexon MT’s official fuel economy rating is 17 km/l (petrol)/21.5 km/l (diesel), and the AMT variant’s figures are in line with this rating. Our diesel test unit achieved a fuel economy of 19.4 km/l, which is quite close to the official figure. We find that very impressive, given that less than a kilometre of our drive was in Eco mode (where we felt a significant drop in performance) and that about 10% of the drive was in stop-and-go traffic. The City mode seemed apt for most of our driving. Like in most AMTs, it takes a little time getting used to and comes with the all-important no-compromise in fuel economy. With the multiple drive modes and features such as anti-stall, kick-down and fast-off, the Nexon is a better package than any other AMT model currently on sale. As the availability was initially limited to a range-topping XZA+ grade, the Tata Nexon AMT came at a hefty starting price of INR 9.41 lakh*. However, it is available in a mid-tier XMA grade as well now, and the prices start notably lower, at INR 7.51 lakh*, making it much more compelling. If you’re in the market for an automatic SUV, the Nexon AMT deserves to be at the top of the probables. The direct rival Maruti Vitara Brezza AMT costs INR 8.54 lakh* onwards. The Ford EcoSport AT is even more expensive, with a base price of INR 9.76 lakh*.